Time to buy the Indian dream? Nasid Hajari’s Midnight’s Furies (Penguin Books, India, 352 pages, 2015) is a fast paced account of India’s partition in 1947, narrating the unfolding of events, looking at the political players involved, and portraying the violence before and after the partition. Enough and more has been written about India’s pre- and post-colonial history -- independence movement, the partition and creation of Pakistan. The key protagonists – Nehru, Gandhi, Jinnah and Mountbatten -- have each been analysed and characterised to death. Nevertheless, the dramatic element of Hajari’s writing, armed with fascinating historical anecdotes, enhances a tale that has oft been retold. It takes a splintered period in India’s history and tries to encapsulate it within a few hundred pages. The book is however not without its flaws. Historian Srinath Raghavan notes that Furies misses out on the deeper legacies of colonial rule in the subcontinent. He also points the absence of a comparative dimension in the book, as it doesn’t analyse other imperial partitions. To add to Raghavan’s critique, the book also over-dramatises the political players, converting them into characters rather than stark figures that shaped India’s contours. It fails to look at the deeper resonances of discontent within sections of the Muslims who demanded the creation of Pakistan and dreamt of emerging as a majority in a new geographical entity. It fails to rummage into the ideologies that shaped the Muslim League and explain the historic context of its insecurities. It does not detail the simultaneously plural and antithetical religious and political landscape of India. It places too much importance on the role of a few political figures, and their egos and altercations. Midnight’s Furies strength, as is its biggest weakness for most professional historians, is that it is not an academic book on India’s partition. It is explicit in the fact that it covers one particular sliver of an age in Indian history and focuses on the politics and people in those years, and brushes past the rest. It still does an exceptional job in deconstructing and recreating a lucid narrative of the partition and the unfolding of events. This in itself is a task worth praising, given the vastness and complexity of those years and the events that occurred. It is a journalistic account and judging it by professional historian's yardsticks is unfair. It has a limited purpose and it serves that well. It makes for engrossing reading. It is factually correct and it will encourage an interested reader to explore more, with other proper history books. More importantly, beyond the positives and negatives, this particular book, and others of its nature, are inherently important – much beyond the scope of the subject they deal with. An event that alters the history of a country and the shape of its borders is often more complex than just a simple unraveling of incidents. Retrospective analysis -- whether intellectual or amateur -- exposes one to different opinions and narratives that emerge out of memory, juxtaposed with official accounts, and reportage from those days. The blurred lines between facts and fiction often merge, as anecdotes, personal experiences and oral histories take over. Analysis is left to an individual reporting it and to the lens she chooses to use to analyse it with. The consumption of this analysis though is with the reader alone. How do complex histories get consumed and digested by those in the present? How does one understand the sudden unraveling of nations and the fencing of new borders? What explains the anesthetised violence, and the countless deaths that render human lives to mere statistics? No amount of retelling or recounting can ever wholly capture the sinuous and complex intricacies that make up an event or a tragedy. Hajari's book falls short in capturing it all, but so would perhaps any other history book about that period. Books such as Midnight's Furies are not important because they can explain the nuances of an event. Nor are they brilliant because they fortify age-old arguments or deepen a known opinion. They are important because they attempt to retell events, searching for a new angle and a fresh point of view to explain them. These books ensure that the narratives of a discipline as undefined as history, and an event as multifaceted as partition, are never complete. Their attempts at questioning, analysing and writing, even seven decades later, a new narrative -- no matter how limited or focused -- in a popular format, keeps the discipline and the event alive and throbbing. Midnight’s Furies is a popular book, in the same vein as Freedom at Midnight. We cannot underestimate the value of a popular book on a serious subject. Which average reader will pick up a book by Bipin Chandra or Romila Thapar? This book works well for them. Other similar books looking at this particular period – whether Alex Von Tunzelman’s Indian Summer, Patrick French’s Liberty or Death or Rudrangshu Mukherjee’s Bose and Nehru, among others – have found their place on our bookshelves. These books deconstruct esoteric periods and bring them outside the classrooms and dissertation papers. They shape views over the past, and challenge any dictated norms over its retelling or analysis. They encourage the readers to explore the subject further by reading academic books or even better, devour primary sources. At the end of the day, we engage with history to understand the past. This is not to satiate our need for dissecting stories or characters, as in the study of literature. Nor is it to venerate heroes and criticize traitors. As members of a race and civilization that was built over an incomprehensible struggle, we crave identity, recognition and witnesses to our existence. We want to understand our actions and retrospectively analyse them. We want to commemorate victories and purge our defeats. We want closure from the past, to comprehend the present. Nisid Hajari’s Midnight’s Furies is but a small step towards doing exactly that. Sarah Farooqui runs the Takshashila Institution’s flagship course, the Graduate Certificate in Public Policy (GCPP). 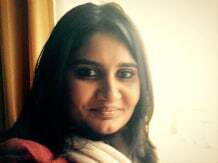 She is also the Editor of Pragati – The Indian National Interest Review.